Thank You to Our Executive Leadership Commitee for Your Support! 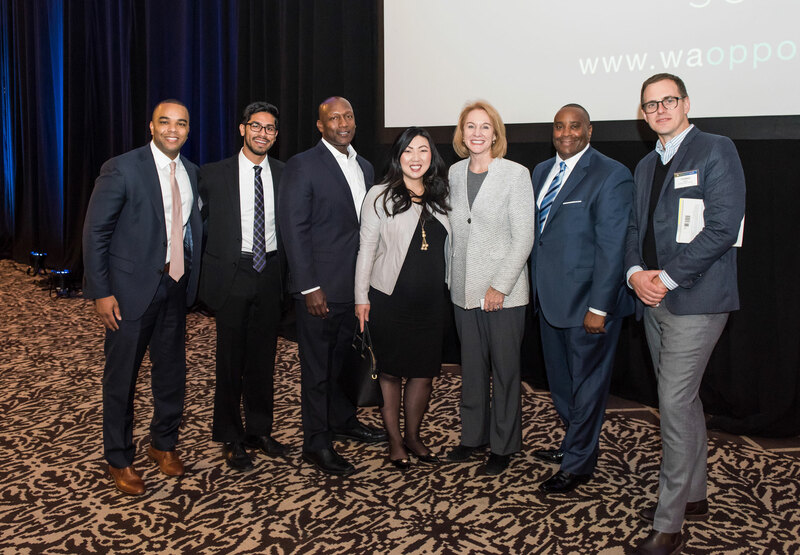 We couldn’t have achieved the success of the 2018 OpportunityTalks Breakfast without the passion and support of our Executive Leadership Committee (ELC)! Thank you for connecting your network to help build doors to opportunity for the remarkable students pursuing STEM and health care degrees in our state. Interested in becoming an ELC member for next year? Host a table of nine guests interested in learning more about WSOS. The 10th seat is reserved for one of our remarkable Scholars who are the best ambassadors of the WSOS program. Consider a corporate sponsorship. Partnership levels begin at $1,000. That’s it! No meetings and no committee work! By lending your good name and that of your company, you help WSOS attract other leaders and decision makers in the community. If you are interested in becoming a member of the 2019 ELC, please contact Erin Ashley at eashley@waopportunityscholarships.org or 206-800-8014.